DIMER offers a comprehensive range of gaskets for a wide range of applications, mainly in the gas industry, petrochemicals, chemical and food industries, oil industry as well as in general mechanical engineering. Soft gaskets are specifically divided into groups according to their production technology and fields of application. The already mentioned sealing elements DIMERSIL, DIMERGRAF and DIMERFLON are suitable and intended for sealing up standard and demanding applications, where controlled monitoring of limit leakage according to European directives or internal regulations is required. We will always assist you in the design, production, implementation and subsequent monitoring of your requirements to find the right solution for you. We can supply sealing sheets as a whole, or as a flat gasket with desired shapes. DIMER-GROUP is a member of ESA (European Sealing Association). For more information please visit ESA (European Sealing Association). 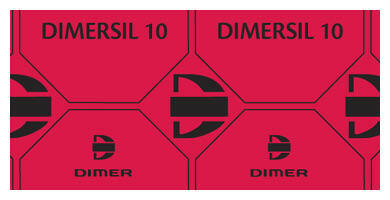 The DIMERSIL production line represents products from CSF (Compressed Synhetic Fibre). 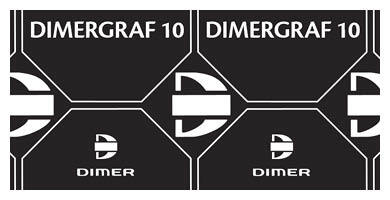 The DIMERGRAF series is a complete range of graphite sheets in various designs to fully meet the requirements of the even most demanding applications, including the field of steam applications. 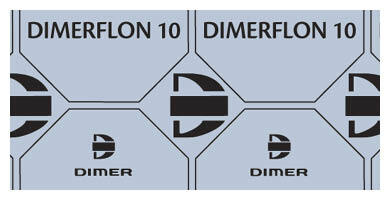 The DIMERFLON series is a complete range of filled PTFE sheets for the food, chemical and general industries.